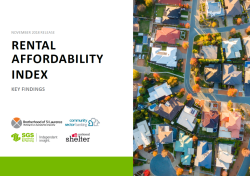 A new research report from AHURI points to a shortfall of 727,300 social housing properties across Australia by 2038, including 166,000 new properties across Victoria. 'Every Suburb, Every Town' -- a significant report into poverty by VCOSS . They commissioned NATSEM to crunch the local numbers on poverty both by suburb and demographic (gender, age, housing status, employment, disability, Aboriginal and family status), using census and SIH data. The specialist homelessness services 2017-18 web report is the seventh annual report from the Specialist Homelessness Services Collection (SHSC). The following article appeared in the August 2018 edition of CHP Parity: Issues of Substance: Substance Dependency and Homelessness. It was written by Nigel Pernu, a member of CHP’s Peer Education and Support Team. 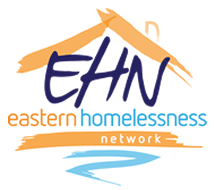 Rough sleepers are the most visible population experiencing homelessness. 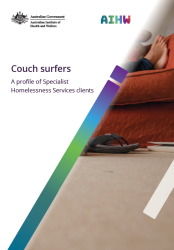 This report explores the circumstances, experiences and housing outcomes of rough sleepers who sought assistance from specialist homelessness services between 1 July 2011 and 30 June 2015. Based on service use patterns across a 4-year period, this comprehensive analysis highlights the diversity and the complexities of the rough sleeper population. 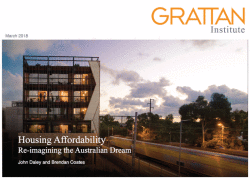 The Grattan Institute’s recently released research, Housing Affordability – re-imagining the Australian Dream, is the next in a series of compelling reports urging Commonwealth and State Governments to move past their policy malaise and take decisive action to improve housing affordability and guide the development of our cities. 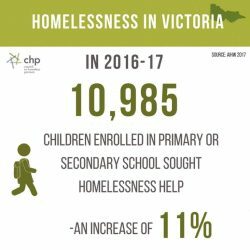 New data from the AIHW shows that last financial year, 10,985 primary and secondary school students sought help from homelessness services (accompanied and unaccompanied); an 11% increase on the previous year. The Couch Surfing Limbo report looks into the experiences of young people who are couch surfing, and the experiences of couch providers, identifying legal, policy and service gaps, and ways forward. It highlights several challenges and makes several recommendations. 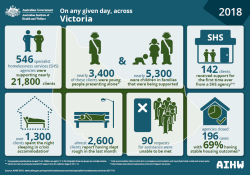 Individual state and territory level infographics summarise information on specialist homelessness services delivered in 2016–17. Australian Institute of Family Studies, Child Family Community Australia have conducted a study into Childen who Bully at school. This exploratory study is the first time that the point of view of primary schools and their day-to-day experiences of dealing with student homelessness have been investigated. 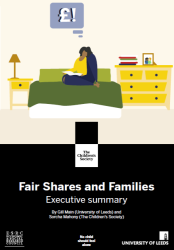 The findings make an important contribution to the broader evidence base on the detrimental impact of homelessness on children’s education. The Victorian Government, through the Department of Education and Training, has worked with the Victorian Koorie community to develop Marrung. Over the past three years, the Royal Commission into Institutional Responses to Child Sexual Abuse has explored the extent to which children and young people have been exposed to child sexual abuse, and considered some of the reasons why institutions have failed to actively prevent child sexual abuse and appropriately respond when children and young people have been harmed. According to the 2011 Census, some 44,000 children and young people in Australia are homeless. The reality is worse; many others are ‘hidden homeless’ who are not counted in the official statistics. Full Report of the Royal Commission into Family Violence, handed down 30th April 2016. 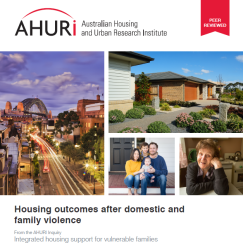 A shared national framework for the primary prevention of violence against women and their children in Australia. Developed by Our Watch, VicHealth and ANROWS - on Tuesday 10th November. The Department for Child Protection and Family Support (the Department) is committed to improve outcomes for Aboriginal children, families and communities that come into contact with the child protection system. The Aboriginal Service and Practice Framework 2016-2018 (the Framework) has been designed to support and sustain this commitment. What are the stated objectives of the NAHA and the National Partnership Agreement on Homelessness (NPAH)? There is much research to suggest a considerable overlap between people experiencing precarious housing, and drug and alcohol misuse. Linking client data from specialist homelessness services and alcohol and other drug treatment services, this report provides a picture of the intersection of these two issues on a national scale. AHURI - What is a bond aggregator and how does it help build affordable housing? In recent news, Treasurer Scott Morrison has visited London to confer with British officials on the UK experience implementing a bond aggregator model to fund affordable housing. The first national survey of tenants has revealed renters in Australia have little security, are living in poor quality homes, experience discrimination based on their income, age, parental status and are fearful of reprisal if they request repairs and maintenance. 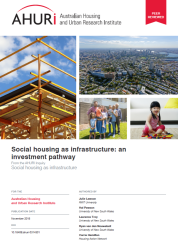 This report investigates how services supporting those experiencing homelessness are funded, and how different forms and levels of funding, together with diverse funding sources, impact on the delivery of homelessness assistance.